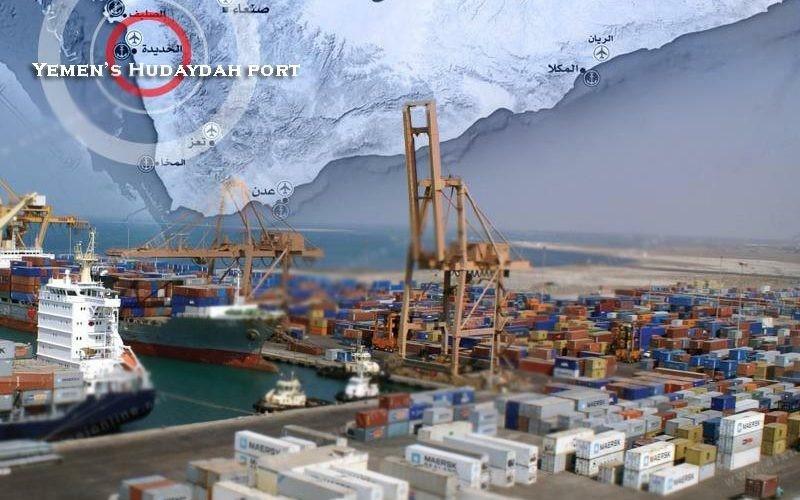 The New York Times reports that the United Nations is pulling its staff from the besieged Yemeni port city of Al Hudaydah as a massive assault on the country's only major humanitarian lifeline appears imminent. UN staff have played a key role in delivering foreign aid through what is now one of the besieged country's only humanitarian access points to the outside world, through which 80% of all humanitarian aid flows. The NYT details that the UN evacuation comes after "member countries were told that an attack by forces led by the United Arab Emirates was imminent, according to two diplomats briefed on the matter." Houthi and other allied Yemeni tribal forces have held the port city of 600,000 for the last two years after ousting the Saudi backed government in Sanaa three years ago. The Saudi-US military coalition currently besieging the country through airstrikes and sea blockade claims Al Hudaydah is a key arms smuggling point through which Iran supplies the Shia Houthis, including sophisticated ballistic missiles which have hit locations inside Saudi Arabia within the past year. Iran has denied that it is a party to the war which has claimed many tens of thousands of casualties — both through direct fighting and through starvation and disease. But any full-scale attack on the port would be highly contentious. American officials have warned the Emirati and Saudi governments that an offensive would result in a quagmire. The United Nations says it could cause more than a quarter of a million civilian casualties. Meanwhile, Cholera has made a comeback amidst the appalling war-time conditions, and civilian infrastructure such as hospitals have been bombed by the Saudi-US operations. The humanitarian situation is set to escalate further, however, as the International Committee for the Red Cross has already removed its staff from Al Hudaydah over the weekend ahead of impending coalition aerial attack. The United Nations Special Envoy to Yemen, Martin Griffiths, has been working to forge an agreement with the Houthis to hand over control of the city and its port to the international body, depriving the Emiratis and Saudis of their rationale for an attack. Diplomats familiar with the situation say that while he has made progress, it is unclear whether Riyadh and Abu Dhabi would back any such breakthrough.